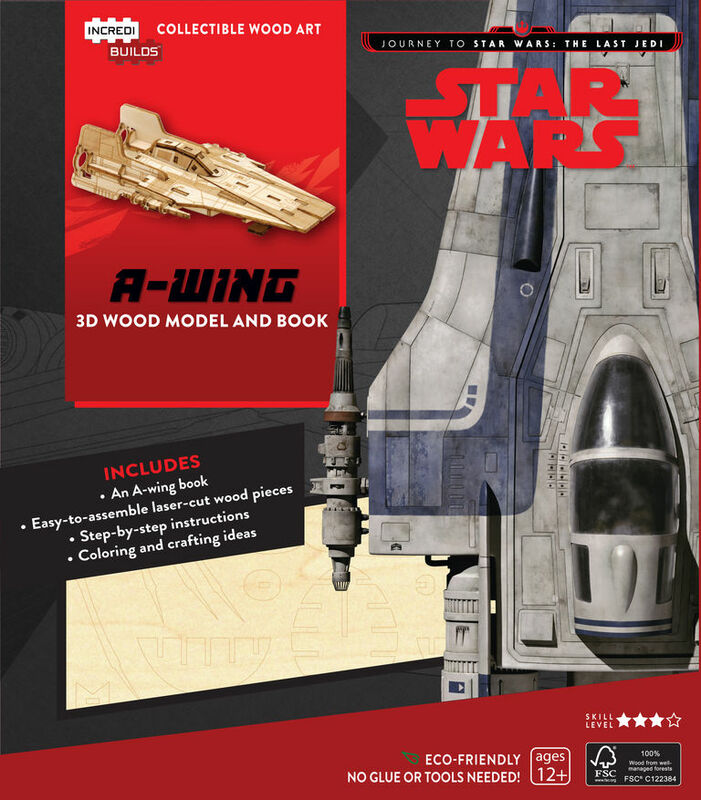 The iconic A-wing Interceptor is yours to build and personalize with this exciting Star Wars wood model set. The 32-page softcover book is packed with information on the A-wing—from basic capabilities to it's pivotal role in both the Rebel Alliance and the Resistance —and is filled with stunning imagery and behind-the-scenes content from the Star Wars universe. 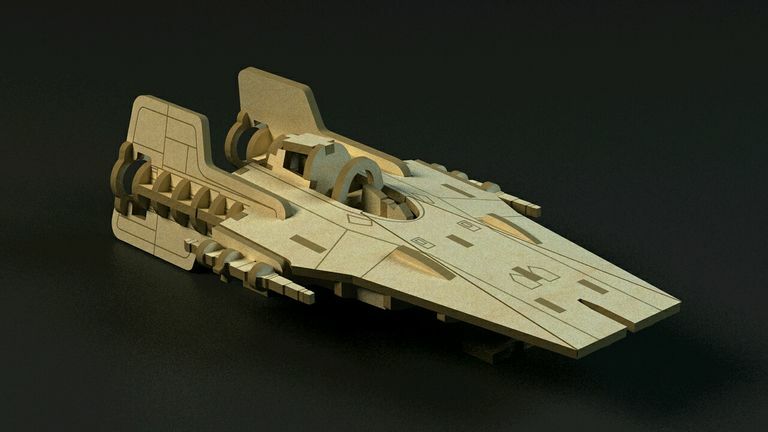 The wood model is easy to assemble and snaps together to form a dynamic, displayable 3D version of the A-wing that fans will love. Includes: Laser-cut, FSC-certified wood sheet with easy-to-assemble pieces, step-by-step instructions, and coloring and crafting ideas.